﻿ Training | Employee Based Systems Please fill up the captcha. Training end-users is probably one of the most important aspects of successfully rolling out a new technology in an organization, yet it is often one of the more poorly executed tasks. Companies of all sizes spend a significant amount of their technology budgets on software. But they won't see the bottom line benefits of these upgrades unless the end-users of the software can successfully make the transition. That's why EBS works with you to thoroughly educate your admin users as you roll out new software. 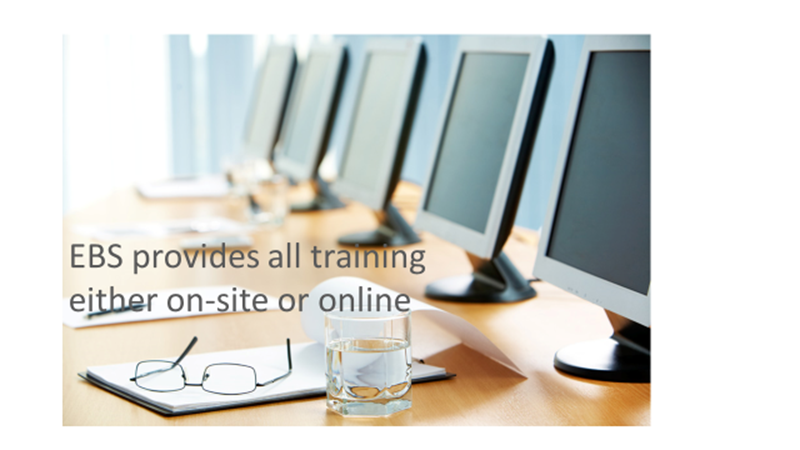 As a part of our commitment to meeting our customers' needs EBS employs various training options to surpass your expectations, deploy rapidly, and increase utilization.